Making plans for your passing can be an uncomfortable experience, but at HHD, our understanding team will sympathetically and efficiently guide you or your representatives in all aspects of this matter. Prepare for unexpected illness or injury by executing an Enduring Power of Attorney and taking advice on the impact of Nursing Home fees on the family home. Death and taxes may be two of life’s certainties, but an astutely planned Will can ensure that assets are disposed of according to your wishes. Making a Will is usually inexpensive but failure to do so can be both stressful and expensive to those you leave behind. At HHD, we prepare Wills in a tax efficient, informed and sensitive manner ensuring that your property goes to the people you want it to. We at HHD can advise you on and prepare a document which is also known as a living will which will ensure your affairs are taken care of in the of your incapacity due to mental or physical ill health. HHD participate in Will Aid. After the loss of a loved one, it is often difficult to attend to their affairs. We can help. We will work sensitively with your executors or administrators to administer your estate. 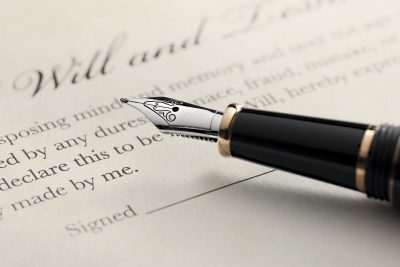 We will explain what needs to be done, whether the deceased person has a Will or not. We will advise if Inheritance Tax is to be paid and what steps can be taken to minimise any potential Inheritance Tax liability. We can also advise on claims that may be made against the estate of a deceased person. In the unfortunate event that a dispute should arise in the administration of an estate, we are available to represent either the Administrator or beneficiary. We help guide you through the complicated laws in relation to whether a gift of property can be validly made. We will advise and assist in the transfer of all or part of your home to assist with tax and estate planning and protect against potential nursing home fees.